healthy  work  environment  for   12%. strictly prohibited at group com-  and the society are conducted. have occurred and none of our   form  named  “Equal  Borusan”. covered by a collective bargain-  equal structure. 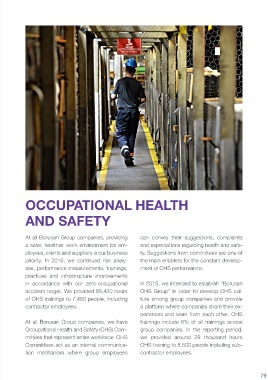 We aim to cre-  ses, performance measurements, trainings,   ment of OHS performance.